Future Publishing Australia (part of Future plc, the global specialist media group), today announces the acquisition of well-known technology brands PC PowerPlay, Hyper and PC & Tech Authority from nextmedia. The acquisition of these titles will include the magazine portfolios, digital editions, Upgrade events and Australian PC Awards. 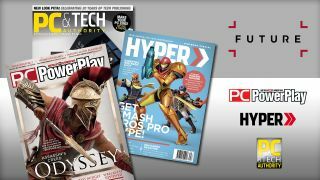 PC PowerPlay and Hyper are two of Australia’s longest-running gaming magazines. Both have passionate and loyal audiences that span all aspects of computer gaming from specialist components and hardware to mainstream console gaming. “PC PowerPlay and Hyper are incredibly strong brands in the Australian gaming community. These titles engage large, loyal audiences who are the influencers in Australia’s fast growing gaming community. The titles perfectly complement our existing portfolio.